Why is it called Halloween? Every year on October 31st kids run around in costumes, parents pass candy out, and scary movies are watched, but does anyone ever stop for a moment to think about what Halloween really is? Why is it called Halloween and who came up with it? 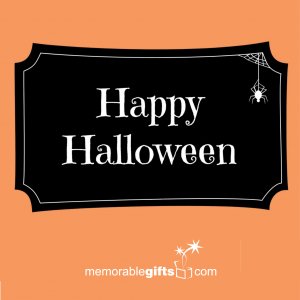 Here at Memorable Gifts we have gifts for each and every holiday, even Halloween! We are not just here to provide gifts, but to also help you learn a little bit more about each and every holiday of the year. 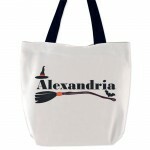 Halloween began in the middle age as the ancient Celtic festival of Samhain. This festival marked the end of the harvest and the beginning of winter. The Celts believed spirits of the dead returned to earth during this time of the year. These harvest festivals and festivals of the dead influenced a Christianized feast known as All Hallows’ Eve. All Hallows’ Eve is better known now as All Saints Day. All Saints Day is November 1st. It is a Catholic holiday for remembering the dead and commemorating Christian saints and martyrs. How this led to October 31st being called Halloween is that originally Halloween was spelled Hallowe’en. Hallowe’en is a also All Hallows Even, which means the day before All Hallows Day. A lot of history goes into just the name alone of Halloween. Now you know a little bit more about this scary filled Holiday. 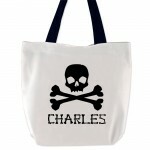 This year before you go out trick or treating check out our spooky personalized Trick or Treat bags.